that uses 50 Ohm coaxial cables for data communication. 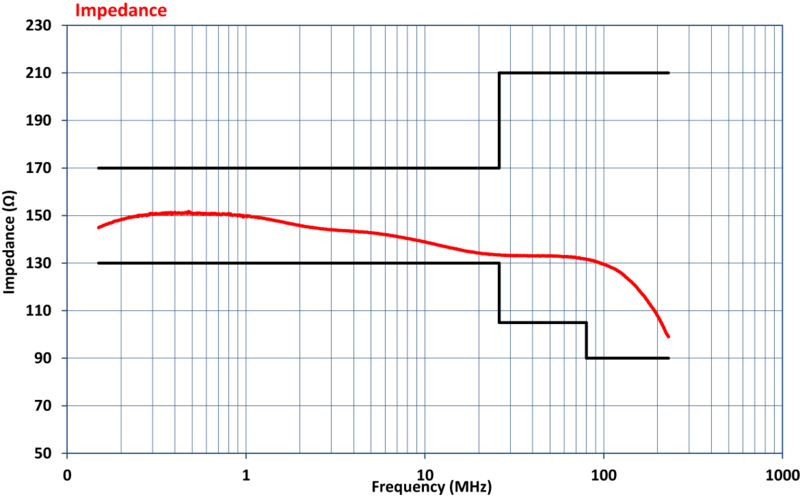 CDN-C50E is one of the series of Coupling/Decoupling Networks. It has 50 Ohm BNC connectors for both EUT and AE power connection. 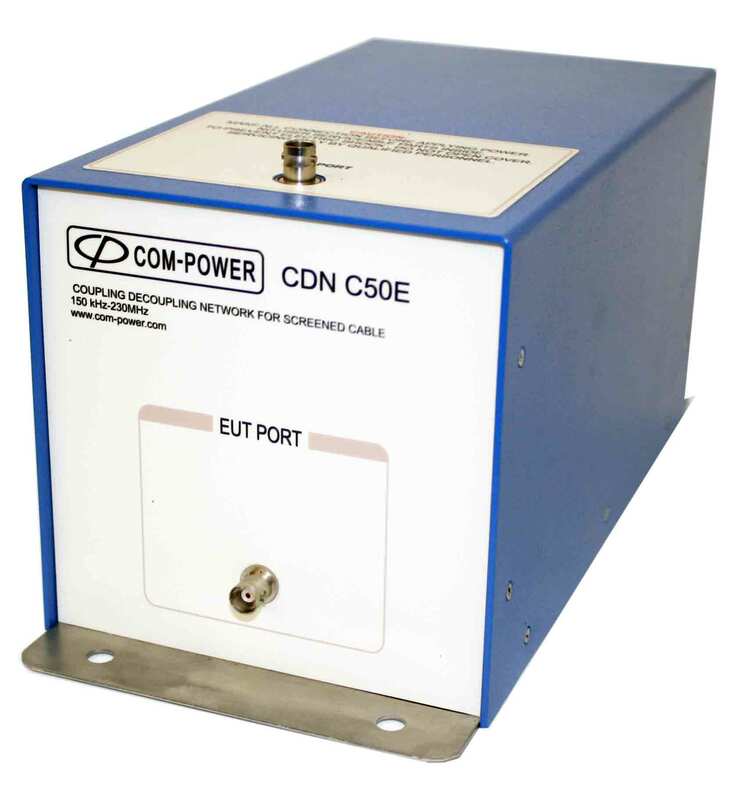 The CDN-C50E can handle up to 1 Amp of current. The RF disturbance signal coupling port is female BNC. It can handle up to 40V of RF Input Voltage. The bottom surface of the CDN is not painted for easy and effective grounding. This is a pre-packaged solution that includes an ACS series power amplifier and all accessories required for the test. 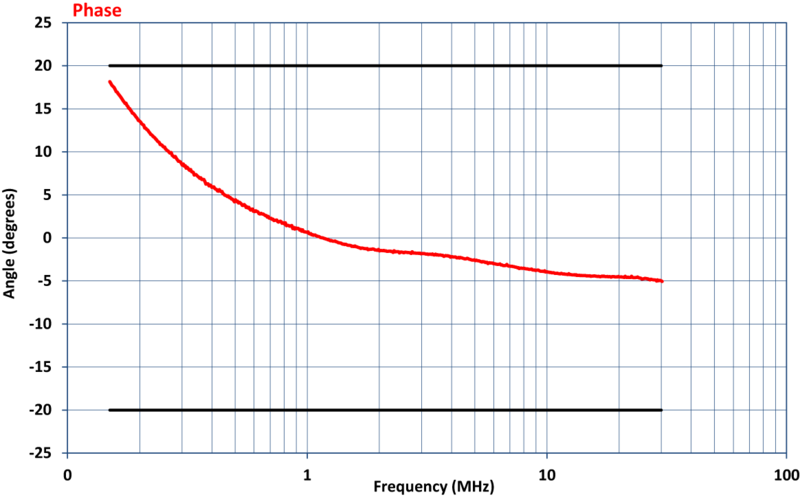 Com-Power CDNs are individually calibrated. All Com-Power CDNs can be purchased separately or as part of the CIS series conducted immunity test system.